Wanting the look of wood floors in the bathroom without the risk of water damage has led many to embrace faux wood floors. For this bathroom, designer Martha O’Hara selected a 30-by-30-inch porcelain tile called Mansion Court from Akdo. 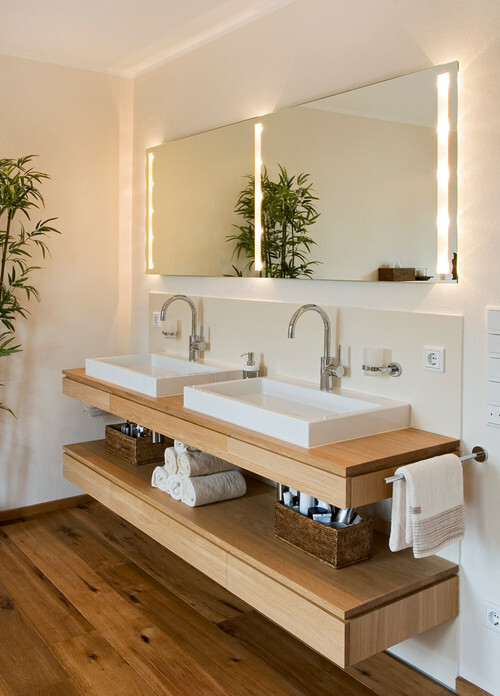 The designer of this modern home in Germany integrated lights into the vanity mirror. The streamlined look forgoes pendant lights from above or sconces to the side of the mirror. It also provides effective lighting at face level, which is ideal for plucking eyebrows, shaving and other grooming routines that benefit from good lighting. If you’re not a fan of water splashing from the sink onto the countertop or floor, you may want to consider a larger basin. 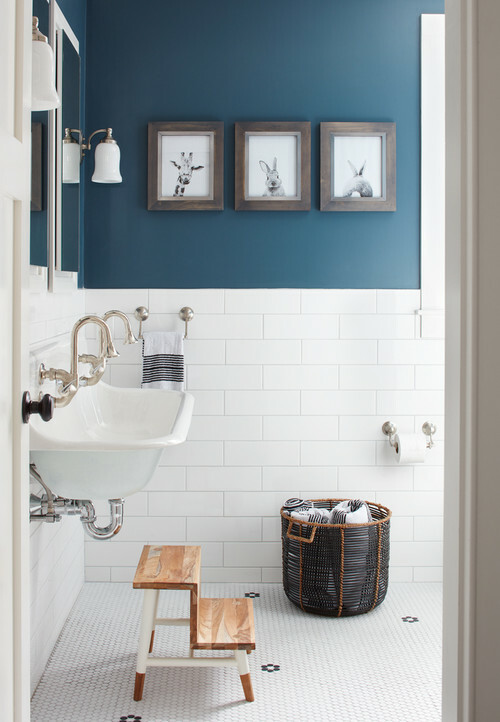 In this stylish Boston bathroom, designer Kristina Crestin selected a 48-inch-wide Brockway sink from Kohler. 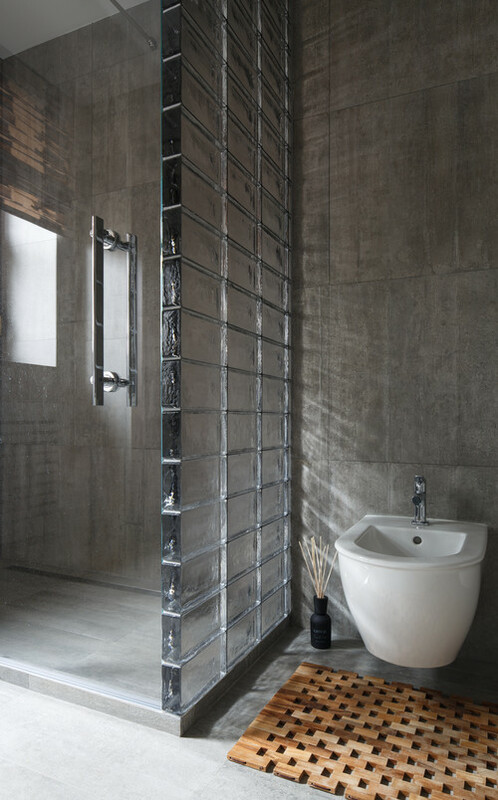 This contemporary bathroom by Bottegadesign in Russia shows how a shower wall made of glass block — a popular style in the 1980s — is still a sleek look. These blackened steel shower doors add architectural heft to an Austin, Texas, bathroom designed by Shiflet Group Architects and connect to the room’s windows, framed in the same material. If you want a luxe look for your loo, consider adding classic wall panels. 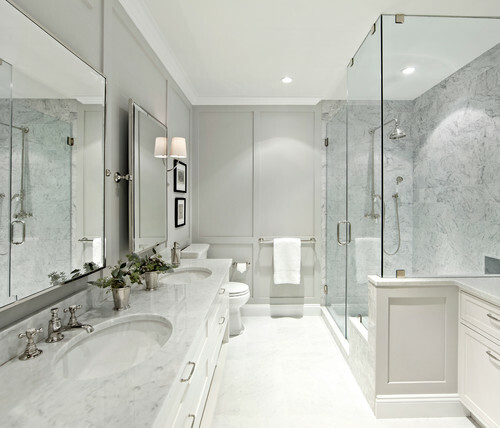 This elegant New York City bathroom was designed by Chango & Co. 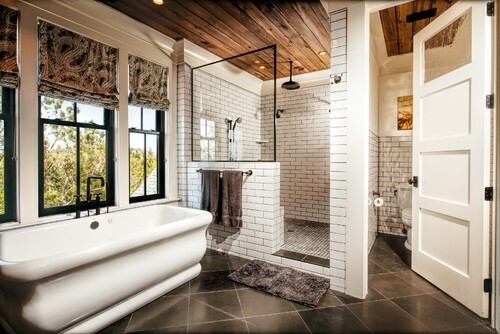 If you want to give your bathroom a bit of rustic character but wish to keep tile floors for maintenance reasons, consider the ceiling as a good location to add some wood. This Charleston, South Carolina, bathroom designed by Cook Bonner Construction features reclaimed wood on the ceiling. Adding a window to the top of a shower wall is always a great way to bring in natural light. For more visual interest, consider a decorative window. This Detroit bathroom designed by Marianne Jones features an arched shower window that follows the contours of the ceiling. To make the most out of every square inch, consider adding cabinets or a storage nook all the way to the ceiling. 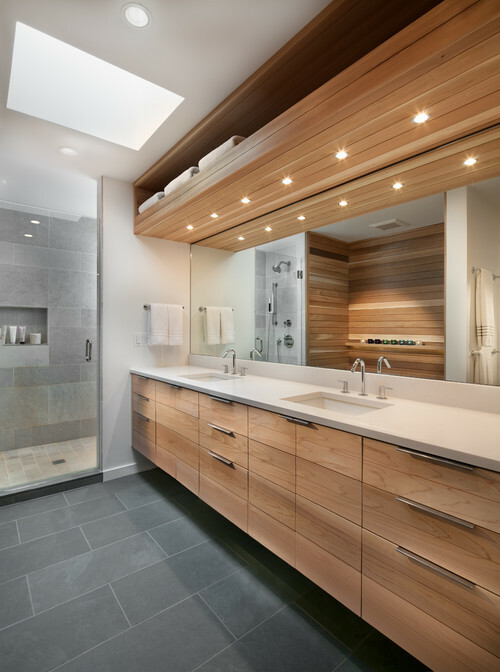 For this Washington, D.C., bathroom, architect Lawrence Mason included a cedar storage nook above the vanity mirror. 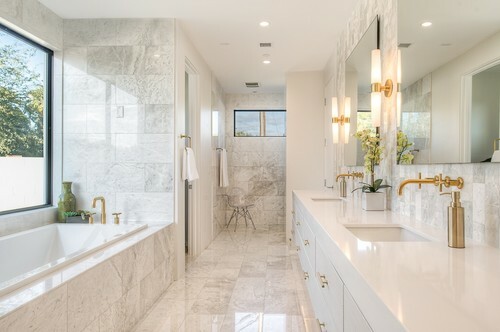 Warmer metal tones have been popular for a little while now, and this Phoenix bathroom designed by Two Hawks Design and Development is a terrific example of how brass fixtures and hardware warm up a marble-clad bathroom.